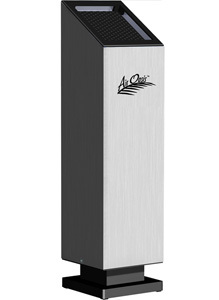 I recently had a chance to use an Air Oasis AO3000 G3 Air Purifier in one of the problem spots in my home. In this review, I cover the unit itself, some of the technology it utilizes, and my experience. 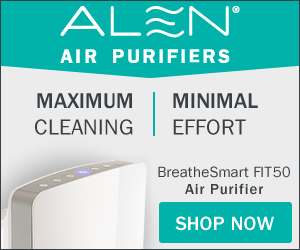 At the end of this post, I also include a resource where you can find recommended air purifiers for the solution you seek or application area. Air Oasis air purifiers are made in the United States. All of their units use Photocatalytic Oxidation (PCO) technology where air is brought into the internal chamber and exposed to high-power 254 nm ultraviolet light and it’s Nickel HCT catalyst. This process has become very popular in that it destroys bacteria and viruses. It the same time, it neutralizes odors. Air Oasis claims that their units are also effective in removing particles from the air. While I do not completely disagree, I typically recommend a filtration unit with some sort of media (carbon/paper/etc) for removing a heavy amount of particles. For lighter particle reduction, these units are fine, and consume significantly less power than units that must pass air through a filter. The germicidal UV lamp in their units are rated for a three year life, opposed to the typical one year life of UVC lamps in most other air purifier brands. A proprietary “LongLife+”™ specialty coating is applied to the bulbs. Their UVC bulbs retain up to 80% of their output at 16,000 hours compared to standard UVC bulbs that retain only 65% of UVC output at 9,000 hours. The user therefore makes fewer bulb changes, and has a reduced impact on the environment. In addition to a longer lamp life, Air Oasis claims several other factors that differentiate them from their competition. Most PCO air purifiers use much cheaper bulbs and catalysts. Titanium Oxide is commonly used as a catalyst, which is the least inexpensive catalyst available, and is really just white paint pigment. 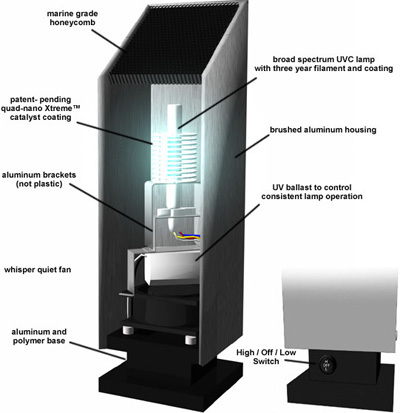 Air Oasis uses a proprietary five metal catalyst that has been shown to be much more effective in testing performed by Texas A&M University. Here are two studies: Texas A&M Study 1 (Allergen & Pollutant Reduction) and Texas A&M Study 2 (Bacteria Reduction) . I had two surprises when I took the unit out of the box. First, I expected the unit to be larger. For a unit that covers 3000 SqFt and has air flow of 30 Cubic Feet per Minute, it is only 14.5″ tall. The second surprise was the brushed aluminum exterior. I am used to air purifiers having plastic exteriors. The aluminum is fairly thick as well, it is not just a thin sheet or aluminum paint on plastic. Shortly after unboxing the unit, I plugged it in. It is extremely quiet, but air flow is noticeable. I believe the unit will live up to it’s 30 CFM claim. We have a finished basement with an air quality problem. Shortly after moving into this home, we finished the basement so we would have a guest room and entertainment area. The area has only three rooms: a “great room” that has bedroom furnishing as well as some entertainment and gym equipment, a bathroom, and a workshop. The entire area except the workshop is carpeted with a berber-type carpet and has a hanging ceiling with HVAC ducts. The bathroom door remains open except when in use. Here’s the main problem: a cat. Specifically, a ten year old gray tiger cat named “Milo”. He’s on some sort of expensive hair-ball weight control cat food we can only purchase at the vet. It has always been a problem, but since he went on this formula, the kitty litter box, which is in the basement bathroom, stinks… very badly. The odor is so strong that one can smell it from the top of the basement stairs. Since the basement doubles as a guest room, we need an effective air quality solution. on it’s effectiveness. The air in the basement now smells a little like how it smells after a spring rain shower, which I believe is a byproduct of the PCO process. In my experience with air purifiers, I do not think that a filtration unit would have been as successful unless it could move a significant amount of air through a carbon filter, which would be significantly more expensive in filter replacements and power consumption. The Food & Drug Administration (FDA) requires indoor medical devices to be no more than 0.05 ppm. The National Institute of Occupational Safety and Health recommends no more than 0.10 ppm. Environmental Health Administration (EPA) standard is 0.08 ppm. Obviously, all of these are significantly higher than the output of the Air Oasis unit. I found the Air Oasis 3000 to be a high quality unit that is effective in my application. I would expect the unit to be effective in other odor control situations, and PCO air purification has many studies that demonstrate it’s effectiveness in destroying bacteria and viruses. It’s a nice bonus that Air Oasis products are made in the USA. For more information, click here to see the entire Air Oasis line on Amazon.